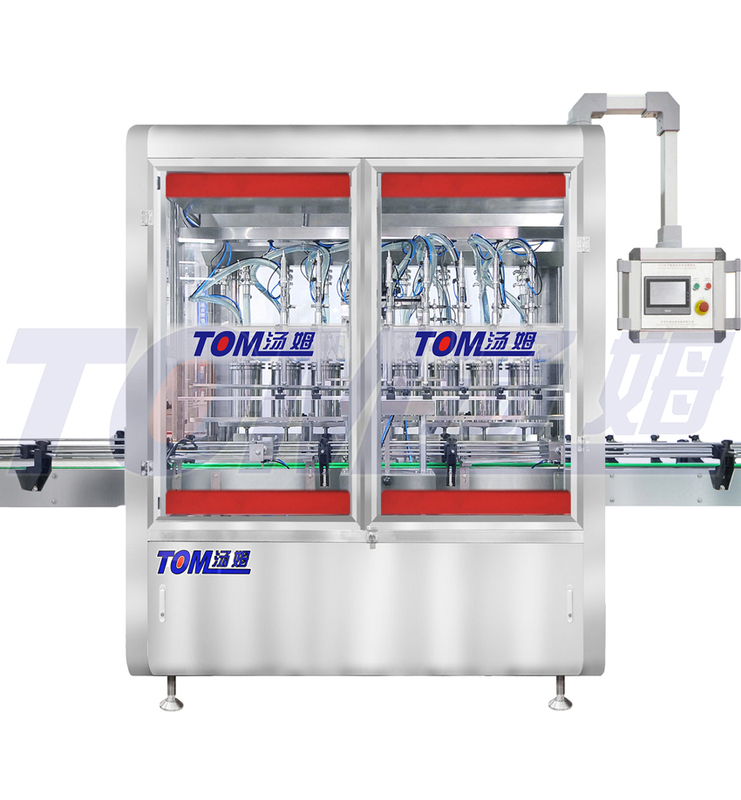 This machine is mainly applied in grease industries . Easily controlled by computer (PLC)and touch screen control panel . It is characterized by its totally close from ,submerged filling ,high measurement accuracy , compact and perfect feature ,liquid cylinder and conduits disassemble and clean . It is also suitable for various figure containers . We utilize high-quality stainless steel frames and international famous brand electrical components , so that the machine is applied to GMP standard requirement . Adopt piston filling type which controlled by servo motor, PLC and HMI control interface, can memory 4 groups of measuring adjustment data, it’s convenient to changing filling volume. Equipped with online weighing feedback system together with PLC control system, can guarantee high filling accuracy and prevent the influence of oil’s volume changing because of temperature.